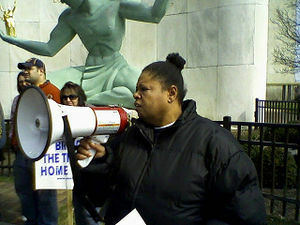 Sandra Hines is a Detroit Workers World Party supporter. Sandra Hines of the Detroit Coalition Against Police Brutality attended the Workers World Party Conference in New York on November 17, 2007. This page was last modified on 22 February 2017, at 21:17.